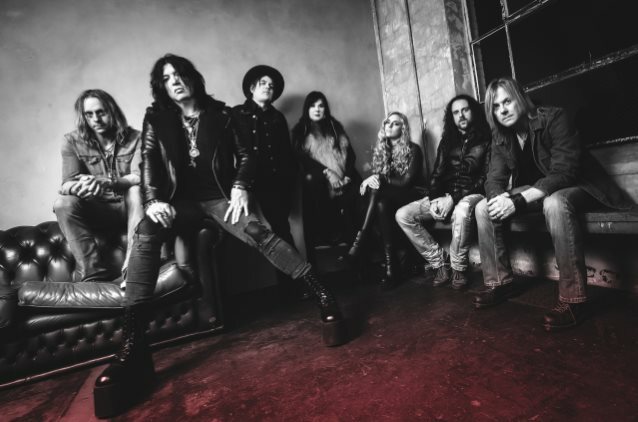 Meltdown of Detroit’s WRIF radio station recently conducted an interview with CINDERELLA frontman Tom Keifer. You can now listen to the chat using the audio player below. “The Way Life Goes – Deluxe Edition” was made available on October 20 via Cleopatra Records. The original 2013 album was remastered by Richard Dodd (KINGS OF LEON, JASON ALDEAN, LADY ANTEBELLUM) and contains two brand new studio tracks recorded in Nashville by three-time Grammy Award winner Vance Powell (Jack White, Chris Stapleton) with Keifer and his bandmates (Tony Higbee, Billy Mercer, Paul Simmons, Paul Taylor, Savannah Keifer and Kendra Chantelle). Fans finally got to hear the long-awaited studio recording of THE BEATLES‘ “With A Little Help From My Friends”, which Keifer performs at all of his concerts, plus a powerful new take on the CINDERELLA classic “Nobody’s Fool”, newly recorded as a duet with Lzzy Hale of HALESTORM. “We wanted to make sure what we were adding to it was special,” Keifer told the Chicago Tribune. “A lot of deluxe editions go back to the original sessions. We actually recorded new tracks, one of them being a duet with Lzzy Hale on ‘Nobody’s Fool’, which was something that came about on tour. 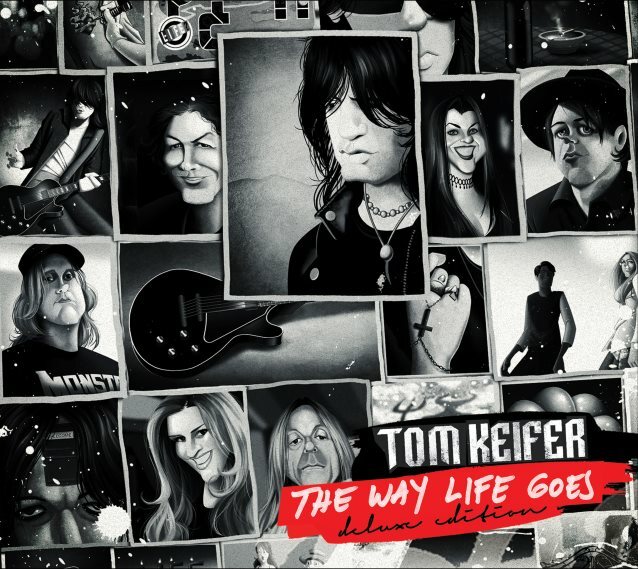 “The Way Life Goes – Deluxe Edition” is wrapped in an all new six-panel digipak designed by artist David Calcano (creator of the Fantoons comic strip series) with 20 pages of one-of-a-kind unique illustrations depicting each song.